Kevin McLaughlin has this afternoon been confirmed by Leinster Rugby as the captain during the Rugby World Cup period. 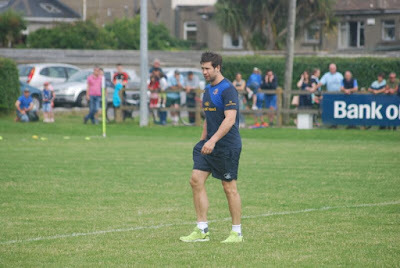 The 30 year old St. Mary's club man, who has 114 caps for Leinster since his debut in April 2007, has captained the province in the past and lead the team out against Edinburgh and Benetton Treviso in last season's Guinness PRO12. Confirming the news this afternoon, Head Coach Leo Cullen said, "I think this is a great opportunity for Kevin. He had an unlucky run with injuries last season and I know he is very keen to hit the ground running this season. McLaughlin last played for Leinster in last December's 21-11 win in the RDS against Connacht but had to come off with a shoulder injury. That same injury required surgery and effectively ruled Kevin out for the season. McLaughlin, who has eight Irish caps to date, has won two Heineken Cup trophies with Leinster starting in both final wins over Northampton Saints and Ulster Rugby. He has also won an Amlin Cup and three PRO12 titles with the province.